As an editor at Fairplanet I write frequently about the international migration crisis. 52 million people are displaced in our world right now, the highest number since World War Two. But it’s not very often I get to write about the response to asylum seekers in my own country, New Zealand. Now seems like a good opportunity. There is something totally disproportionate about New Zealanders fearing a boatload of asylum seekers arriving on our shores. It would take an incredible feat of seamanship to reach our country on the rickety boats asylum seekers have typically used to cross from Indonesia to Australia. It simply does not happen. And yet this is a fear our Prime Minister John Key plays on whenever the opportunity arises. 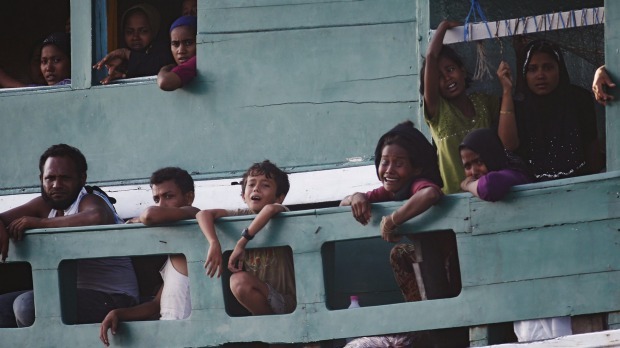 Australia’s Stop the Boats campaign prevents any asylum seekers arriving by boat from ever reaching the nation, instead being turned back by military personnel or detained in offshore processing centres in other countries like Papua New Guinea and Nauru. So last week when 65 asylum seekers, mainly Sri Lankans and Bangladeshis, were stopped in Australian waters, they said they were attempting to reach not Australia, but New Zealand. They are now being detained in West Timor, and have circulated photographs and a letter asking our government for help. In order to process an asylum seeker’s application, they have to reach your country, so New Zealand is not obliged to help these desperate people. But John Key took the opportunity to stir up fear, telling the New Zealand public that this boat had a credible chance of making it all the way to our shores. In fact, the boat became shipwrecked shortly after the Australian army intercepted it, and the people on board had to be rescued before they were detained. If anything, the media coverage of asylum seeker boats struggling in the Mediterranean provides our government with ample material to propagate the idea that the international migration crisis will have a detrimental effect on New Zealand’s population as well. But the real chance of our nation being bombarded with boats is unbelievably low, which leaves us in a privileged position to decide for ourselves what we can do to help. There is growing support for doubling New Zealand’s refugee quota, which accepts refugees through the United Nations Refugee Agency (UNHCR) program. We currently accept 750 refugees per year, a shamefully low number which sees us ranked 87th in the world for refugee resettlement per capita. As New Zealanders we tend to take the moral high ground on international issues, but it is our isolation that allows us to do this. How often does an international crisis show up on our doorstep? If it happens, it certainly doesn’t arrive by boat. Next month our country will take on the presidency of the United Nations Security Council, an excellent opportunity to set an example in the international community. Let’s double that quota while we have the chance.